No, not THAT Flatiron Building. 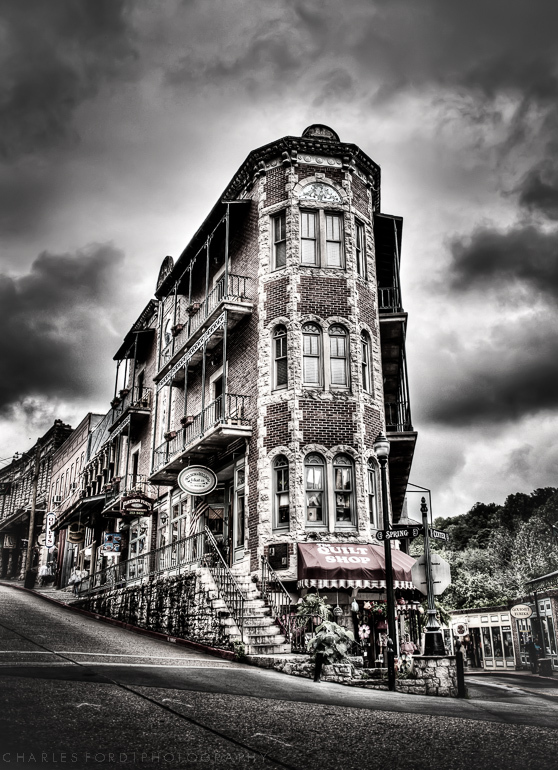 This is the one in Eureka Springs, Arkansas. The original was built in 1880 and burned down in 1890. A replacement was built in 1890 and also burned down. The one there now was built in 1987. At least the site is historic. To me, it looks like a locomotive surging down the street with building in tow. The building houses a hotel (“The Flatiron Flats” of course), and some shops. I’ve photographed it before but finally got something I am somewhat pleased with. 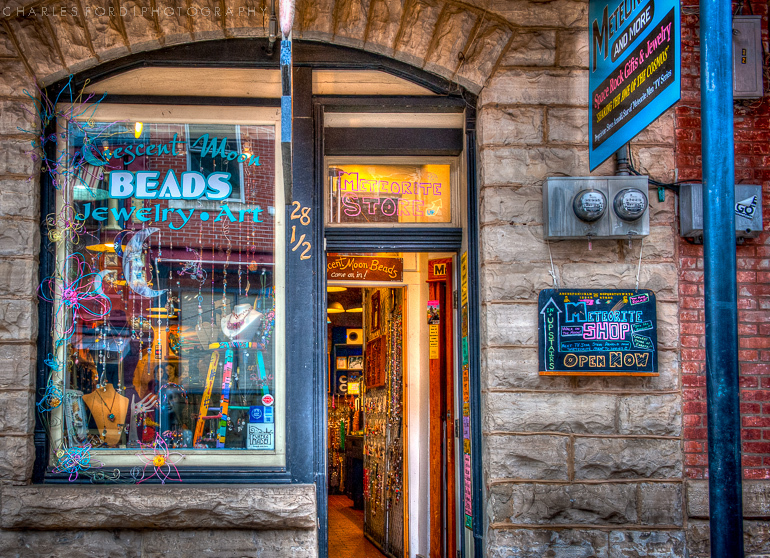 One of the quirky little shops in Eureka Springs, Arkansas. Not your garden variety establishment. I didn’t actually go into the meteorite shop (which is upstairs apparently)….that would have involved sprinting a block to catch up with my wife to tell (OK, ask) her about going in. I was already tired, there is virtually nothing level in Eureka Springs. Still, it makes for a nice little storefront image. During a stress filled trip to the Ozarks last week, after my brothers death, my wife and I managed to get away for a few hours to the charming yet baffling town of Eureka Springs, Arkansas. A little town full of bed and breakfast’s, and shops of all kinds, it is a favorite destination. Built on steep hills, I still haven’t grasped the geography of the town, despite many visits. I have photographed this building facade before, but wanted to take another crack at it. I’m not sure if 1902 refers to the year, or the street address, I wasn’t paying attention! This is an HDR image derived from a hand held bracketed set, ran through Photomatix Pro, Lightroom, and a slight touch up using Photoshop Elements. 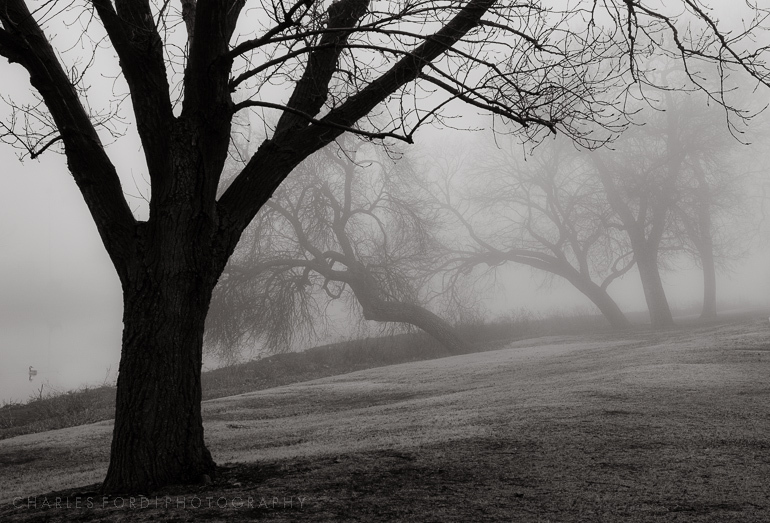 Life goes on, and being out shooting was a bit of a healing for me, at least a start.